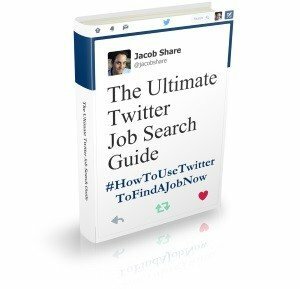 Blogging for job search? Here are 5 personal brand-building habits worth making part of your blogging routine. By taking on new habits, you build expectations of what you can do. Although you should try out all of these suggestions, once you understand the effort each habit involves, ask yourself if you'll be able to sustain that effort. If you can't, just don't make that suggestion a regular habit, instead keeping it in mind for exceptional occasions. Make it a regular part of your routine to follow the trends in your industry. Staying current is to stay relevant. This can be as quick as a daily glance at the last 100 tweets of a (your?) Twitter List of industry leaders and news sources or a monthly check of Google Trends. Track all your brand-building activities, because this is the only way to know which tactics are working and which aren't. Tracking is a long-term activity but you should make it a regular habit to glance at your statistics packages and get an idea of progress or lack thereof. If you're considering a new tactic, always ask yourself how you'll measure its results. If you can't see a way, ask for help or consider a different tactic instead. Make it a point of doing at least one thing daily that a specific person will really appreciate. It can be as small as answering a question or sincerely complimenting on a job well done. Even better- do something that a specific group of people will really appreciate. Best- do something that a specific group of people will really appreciate where each of them feels as if it was done just for them, and do it in a public way so that other people will want to be included in that group next time. If you're a blogger, one example would be a blog post that responds to a common query of readers, with a section that addresses – by name – specific readers' individual twists. You would only know which queries are common if you're watching your trends to begin with. To take into account the earlier habits- that common query might be about a new trend, or something that's about to become a new trend. One of the easiest ways to impress anyone is with speed. People are busy, and by responding quickly to them, they appreciate both your effort to get their request done but done in a way that makes their own responses easier due to the extra unanticipated time you've given them. Continuing with our above example, be first or among the first to address a common query of your readers, because it's likely to be a common query of your non-readers – potential readers to-be – as well. Another typical example is email. While it is tempting to keep your email open all the time so that you can immediately react to new messages, that practice can easily harm productivity if you receive messages regularly. Experiment until you find a good compromise, such as checking your email once every 1-2 hours but only responding when a one-line reply is enough, while delaying other responses until after lunch or before the end of your day. Make it a point of commenting on at least one blog article per day. Vary your blog selection to cover blogs of industry colleagues, friends, fans, people you admire, even competitors. While comments on big blogs are more likely to be seen, comments on small blogs are more likely to be appreciated, so aim for a balance of both. It's critical that your comment be constructive and valuable, and not an airy ‘great post!' that adds nothing while making you look silly or spammer-like. Bloggers love good comments, making them another example of something nice you can do daily. Commenting soon after a trend-related article was published – a momentum-maker that will endear you even more to the blogger – is a great way to apply all the suggestions mentioned here so far. 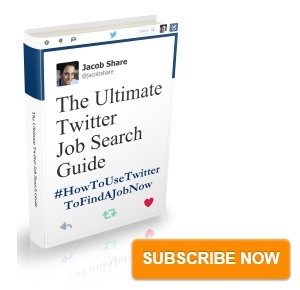 Subscribe to JobMob via RSS or email and follow me on Twitter for more ideas on how to use blogging on your job search. Forwarding to my favourite bloggers.